Are these meant to be colouring-book type images. They're great. Very cheerful and playful. 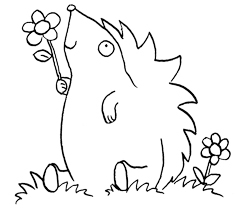 I especially love the hedgehog.